Boyan Slat, CEO of Ocean Cleanup, recently released details of their newly designed system, intended to start removing plastic from these patches. Slat has been on a mission to rid our oceans of these plastics since realising how badly our oceans have been affected by this waste. Slat set up Ocean Cleanup through a combination of crowd-funding and donations and has spent the last four years developing and refining his designs. And Slat certainly does seem to be holding his promise, with Ocean Cleanup’s pilot system due to be launched in late 2017. After this pilot test, he hopes that the first system will be operational by the middle of 2018. Ocean Cleanup’s goal is certainly a brave one: to remove half of the Great Pacific Garbage Patch located between California and Hawaii, within just five years. In order to do this they have refined and redeveloped their original design. The initial design involved tethering a plastic collecting device to the seabed below, however after tests, this has now been significantly redesigned. The new system includes an array of floating barriers, each measuring up to two kilometres in length. These barriers sit on the surface of the ocean, connected to a screen which captures plastic just below the surface. The barrier is also attached to a floating ‘anchor’ which sits 600 metres below the surface. This anchor allows the barrier to move with ocean currents and winds, collecting plastic waste as it travels. Once the system is full, a support vessel will collect the waste before taking it ashore for recycling. As Slot explained, "these systems will automatically drift or gravitate to where the plastic is. Instead of us being able to clean up 42% of the patch in 10 years, we can now clean up 50% of the patch in five years." 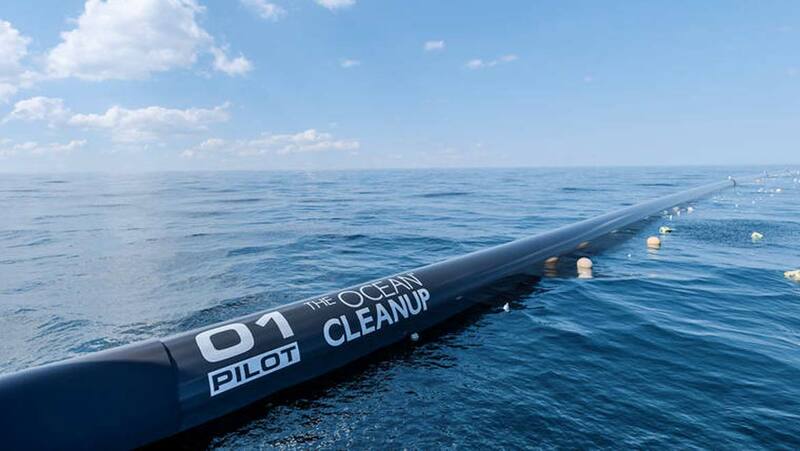 Whilst some critics do have their doubts as to whether or not these floating arrays will effectively collect trash, especially considering some of the trash is floating deep underwater, their analysis of the effectiveness of Ocean Cleanup was based on the previous tethered design. Now that pilot studies are imminent, the real test will be when these arrays are used in a real-life setting far out in our oceans.